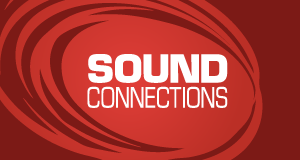 Sound Connections is seeking an enthusiastic and hard-working project manager to lead on the Information and Training strand of its work, improving access to quality music opportunities for young Londoners. A self-motivated team player, you’ll be confident in planning and delivering programmes of work to agreed outcomes and managing budgets. You will enjoy developing and contributing to networks and will have experience of delivering information, advice and guidance to a range of people. If you have at least two years experience as a project manager in an arts or professional development setting and are looking for a new challenge, we’d like to hear from you. This appointment will be offered on a fixed term contract until 30 September 2012. If you are interested in applying for this position then please download an application form and the supporting documents. Applications should be received no later than 5.00pm on Monday 28 November 2011. Please send in your application by email to recruitment@sound-connections.org.uk. Sound Connections is an equal opportunities employer. For more information about what we do, please take a look at the rest of our website.